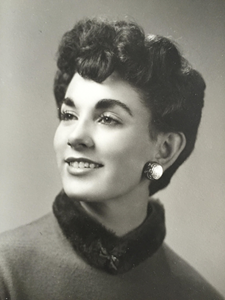 Beverly "Bev" Jean Canfield, age 80, of Casper, passed away March 20, 2018. Beverly was born August 25, 1937 in Casper to Dutch and Ruth Knight. She was a homemaker, and the absolutely best mother ever. Her greatest joys were spending time with her kids and grandkids. Beverly was preceded in death by her parents, her loving husband of 44 years, Jack Canfield Sr., and brother, Fritz Knight. She is survived by her children, Cyndy (Rockey) Canfield-Wheeler, Jack (Jennifer) Canfield, Tracy (Ryan) Perez, 2 Sisters, Judy and Kathy Mills, and 3 grandchildren. Add your memories to the guest book of Beverly Canfield.